In 2011 and 2012, I started experimenting with digital illustration on the package branding for DIYNetwork.com. The resulting graphics had a light-hearted, handmade, and slightly feminine feel that made the content more accessible. 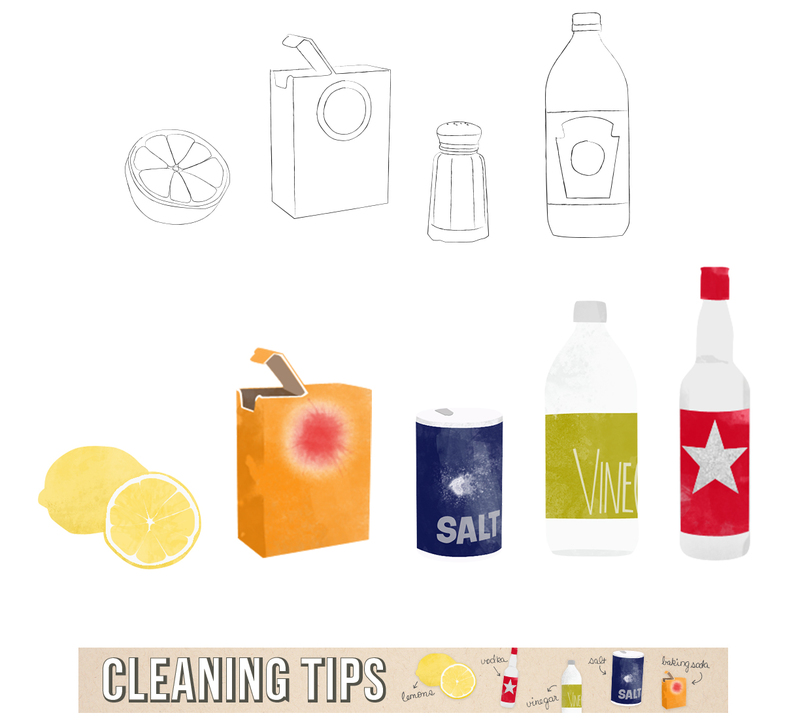 For Cleaning Tips, I started with a Wacom tablet outline and then added color with brushes in Photoshop. The Big I Do was a mixture of doodles from my sketchbook collaged with photographic elements.